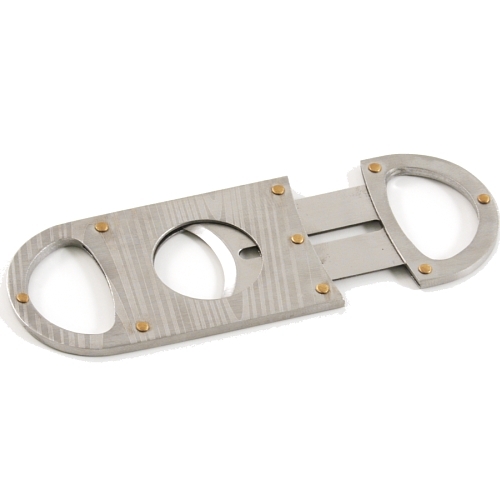 This unique wood grain look cigar cutter is sure to impress. Its design allows you to slide out the blade, insert your cigar, and simply slide the blade across your cigar to make the cut. This standout cutter also comes with a storage pouch for safe keeping.